MELBOURNE, Australia. 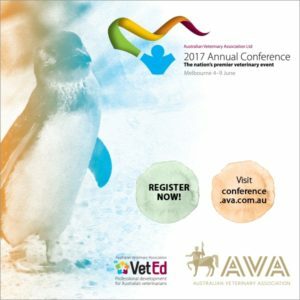 – The innovative pet Health Monitoring Solution from PetPace is on display at the Australian Veterinary Association’s 2017 Annual Conference in Melbourne, Australia on June 4-9. The PetPace Health Monitoring Solution gives pet owners and veterinarians the ability to remotely monitor and analyze a pet’s vital signs and activity directly from a web application and mobile device. The Health Monitoring Solution features a smart sensing collar that uses an array of non-invasive sensors to continuously measure a pet’s temperature, pulse, respiration, activity levels, calories, positions and heart rate variability. PetPace is the most comprehensive smart collar health monitoring solution available on the market. It is a perfect tool for veterinary hospitals, giving caregivers the ability to quickly measure a patient’s vital signs. Veterinarians can access PetPace devices to remotely monitor their patient’s medical issues or recovery from surgery on either an inpatient or outpatient basis greatly improving the standard of care. This can greatly reduce the amount of stress placed on a pet undergoing treatment by allowing them to recover at home, while still be under close medical supervision. Pet owners can track their pet’s vital signs and activity levels. The device is equipped with an alert engine, to immediately notify a pet owner via smartphone when an irregularity is detected within a pet’s vital signs. In addition to its health monitoring function, each PetPace device allows owners to remotely set and track activity and calories goals. Health data recorded by the collar can also be shared with a pet’s primary care veterinarian, allowing them to better understand a pet’s overall health or receive notifications in an emergency. PetPace and Orivet Genetic Pet Care, a leading international personalized medicine and genetics testing organization, will share booth 142 at the Melbourne Convention and Exhibition Centre throughout the five day event. Orivet offers genetic DNA testing services for dogs and cats, allowing pet owners to learn more about their pet’s unique personality traits, health needs and inherent risks. Results from DNA testing are used by Orivet to create Personalized Life Plans each specific pet. This information allows pet owners and a pet’s veterinarian to take a more preemptive and customized approach to caring for the long-term health of a dog or cat. PetPace smart collars are a great tool for pet owners interested in understanding their pet’s health from day to day. We believe using a PetPace device in unison with Orivet’s Personalized Life Plans dramatically improves the level of care for dogs and cats, said Dr. Noam Pik, CEO of Orivet. PetPace was founded in 2012 to bring peace of mind to pet owners and prevent unnecessary pain and suffering for dogs and cats through improved pet health and quality of life. PetPace specializes in the remote continuous monitoring of pet vital signs by utilizing advanced analytical methods and alerting models. The company’s low power, wireless collar is fitted with an array of non-invasive sensors that continuously monitor a range of physiological and behavioral parameters. Once an abnormal sign or behavior is detected, a sophisticated cloud-based analytical engine evaluates the signs and, if needed, sends an immediate alert regarding any suspected condition. This allows the owner or the veterinarian to take preemptive action to protect the pet’s health. PetPace collars are suitable for pets at all ages, especially for older pets, sick pets, or pets that may have a higher predisposition to various health risks. For more information about PetPace real-time pet health monitoring, visit https://petpace.com.